How Can Botox Help Treat Synkinesis? Believe it or not, Botox is often a great treatment for facial synkinesis. 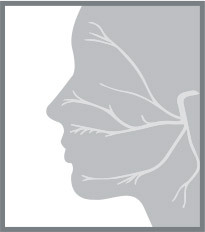 Botox has been a top treatment for synkinesis for the past two decades. It consists of a protein derived from botulinum toxin and has been shown to relax unwanted muscle movements in the face. In addition, Botox helps reduce tension in areas of the face that are hyperactive due to synkinesis. What makes Botox a safe, effective treatment for synkinesis? To better understand the benefits of Botox for synkinesis, let’s take a look at three key questions surrounding Botox treatments. 1. How Does Botox Work Exactly? 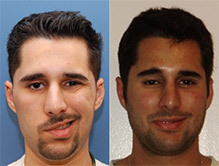 For synkinesis patients, Botox may be used to relax muscle movements in the abnormal and hyperactive side of the face. It helps create a more symmetrical appearance in the face and reduce unwanted muscle movements that occur due to synkinesis. Nerves release a chemical messenger known as acetylcholine at the point where the nerve endings meet the muscle cells. Acetylcholine attaches to receptors on the muscle cells, thereby causing muscle cells to contract and shorten. Botulinum toxin stops the release of acetylcholine to prevent the contraction of muscle cells. It can be injected into Bell’s palsy patients in small concentrations and works quickly to prevent nerve cell signals from reaching the muscles. 2. What Should a Synkinesis Patient Expect During a Botox Treatment? During a Botox treatment, a facial paralysis expert, like Dr. Babak Azizzadeh, will first assess the patient’s facial movement. Once they determine where it needs to be placed to achieve improvement, they will inject the Botox. Then, the Botox will help relax muscle movements in the face, and a synkinesis patient should notice the effects of the treatment within one week. 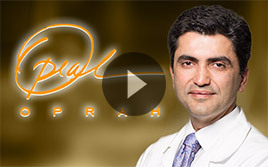 Dr. Babak Azizzadeh of The Facial Paralysis Institute is a globally recognized facial paralysis and reconstructive surgeon who has administered many Botox treatments to synkinesis patients. He takes an in-depth approach to Botox procedures and will ensure that a synkinesis patient knows what to expect throughout treatment. That way, a patient can establish realistic treatment goals. 3. Am I a Viable Candidate for Botox for Synkinesis? Botox is a popular synkinesis treatment, but it is important to note that Botox for synkinesis results may vary. Therefore, it is paramount for a synkinesis patient to consult with a facial paralysis expert before undergoing treatment. As part of a Botox for synkinesis consultation, Dr. Azizzadeh will examine a patient’s facial features and perform a comprehensive assessment. The consultation also enables a synkinesis patient to ask questions about Botox and address any treatment concerns with a facial paralysis expert. Although Botox may be a great choice for many synkinesis patients, various alternative treatments are available that deliver proven results as well. For example, Botox treatments may be administered in combination with neuromuscular retraining and physical therapy to help synkinesis patients get the best possible results. On the other hand, a surgical procedure such as selective neurectomy may provide the patient with the best results possible. 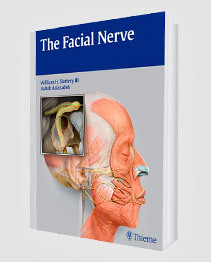 To learn more about facial paralysis treatments, please call 310-870-9565 to set up a consultation with Dr. Azizzadeh.